If the little ones aren’t able to go to the beach to build sandcastles on the shore, you could always bring the sand to them – in full color. 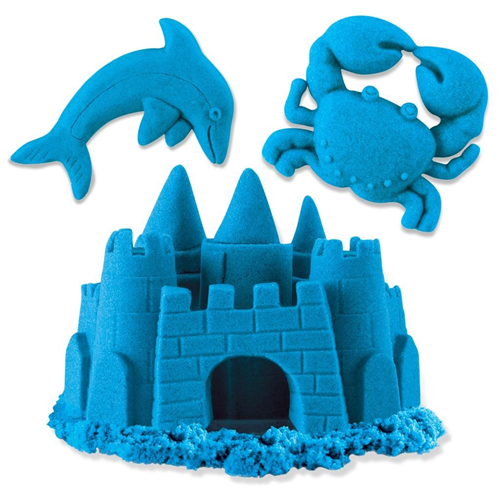 Have you ever heard of Kinetic Sand? 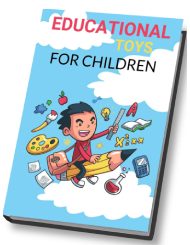 It’s the squeezable sand that you can pull, pack, and shape – it’s so fun that your children will never want to put it down. However, once they do put it down, you’ll need a place to put it – that’s where the Kinetic Sand folding sandbox comes into play. Before we go into details of the Kinetic Sand folding sandbox, we feel that we need to go over some things in regards to the actual sand. Some parents frown upon Kinetic Sand, but in all honesty, we’re not sure why they wouldn’t get this stuff for their children. It’s 98% sand and 2% Polymers (a form of silicone oil), plus, it’s gluten-free and is made for children ages 3 and up. This sand mimics the physical properties of actual wet sand like you would find by the beach. This and was originally created for sculpting but it is traditionally sold as play sand for the little ones. It looks a lot like light brown sugar. You can mold it as it sticks to itself, and luckily, it doesn’t stick to most other materials or surfaces that you have in your house. As an additional benefit, it doesn’t dry out. However, despite it all, even though it doesn’t dry out, a sandbox would still feel cool. With the Kinetic Sand folding sandbox, children will feel as if they really are playing in a sandbox in a park. What’s cool about this particular sandbox would be the fact that you can have the sand inside, if you want. Once the children are done playing with the sand, you can easily fold the sandbox up and store it. When they’re ready to play with the sand again, simply take the sandbox out, set it on the surface in front of the little ones and unfold it. Yes, it really is as easy as this. In the Kinetic Sand folding sandbox, children are going to have hours and hours of play day in and day out. This will be their new favorite “toy.” Every time their friends come over, they’ll probably ask you to bring the sandbox out, but that’s not a bad thing, because as we said before, the sandbox is easy to set up. If you look online, you’ll find different sand molds kits that you can also use. If you combine the sand box with sand and sand molds, your little ones are going to have even more fun. When it comes to sand molds, there are too many of them to name them all, but you’ll find molds like vehicles, animals, and buildings. If your children love playing with Kinetic Sand, then why not get them their own Kinetic Sand folding sandbox? This will give them a place to play and store their sand, so it’s a “win,win” situation.